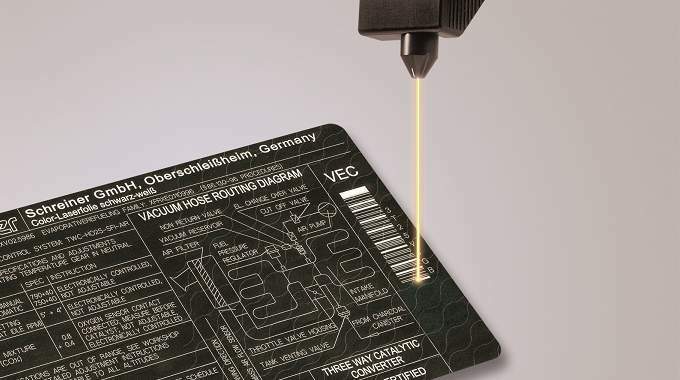 Schreiner ProTech, a Germany-based developer and manufacturer of functional labels with value-added benefits for engineering-based industries, has introduced the next generation of its color laser film (CLF) marking system, targeted to the automotive sector. CLF 2 features extra levels of counterfeiting and tampering protection, and builds upon 20 years of implementation of the original CLF system, primarily in the automotive industry. 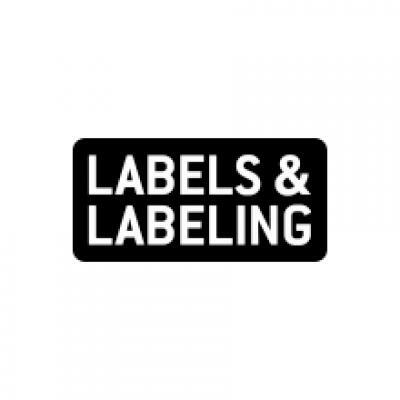 The original CLF system combines self-adhesive film labels and laser equipment, claimed as the only process for overprinting labels with variable data at the customer’s site that protects printed images with a transparent film covering. The marking process uses a laser beam that penetrates the transparent protective film without damaging it. CLF is suited for creating self-adhesive nameplates, since marking occurs inside the material composite underneath a transparent protective film. As a result, the system is emission-free and its nameplates are highly durable. To add tampering protection when needed – for example, a vehicle identification number (VIN) – Schreiner had previously developed an option that created tamper-evident nameplates that could not be non-destructively detached. This featured integrated predetermined breaking points in the color laser film that ensured the film composite would be destroyed in any tampering attempt. The security level could be increased by integrating holograms, color-shifting ink and other security technologies. CLF 2 has been developed in response to growing demand for an even higher level of counterfeiting and tampering protection for vehicle nameplates, according to Schreiner ProTech, prompting it to develop new compositions for these CLF layers. 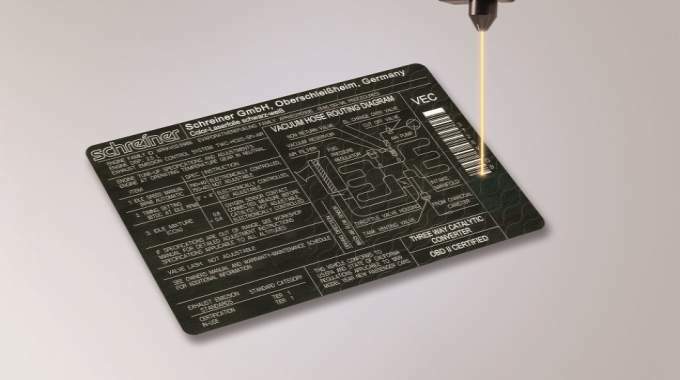 The result is enhanced counterfeiting protection via specific proprietary interactions that occur during the laser marking process, diminishing the possibility of tampering to near impossibility. The previous high marking speed of 5,000mm/s line length is retained by CLF 2. After completion of the marking process, the laser beam cuts the label to size from the continuous roll. Deliveries of CLF 2 to automotive industry customers started in early 2018.